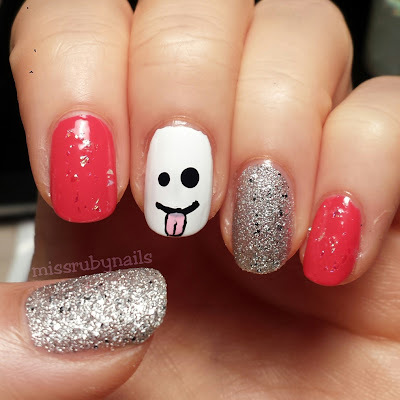 We have here a simple not-so-scary ghost face manicure from last Halloween! 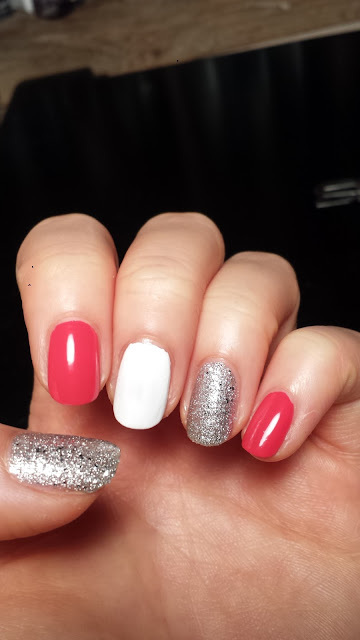 This is a really quick nailart that you can customize using any other color combinations you like. I first painted a solid base colors using red, white, and textured gold glitter. I love any textured polishes and this one was by Gosh. 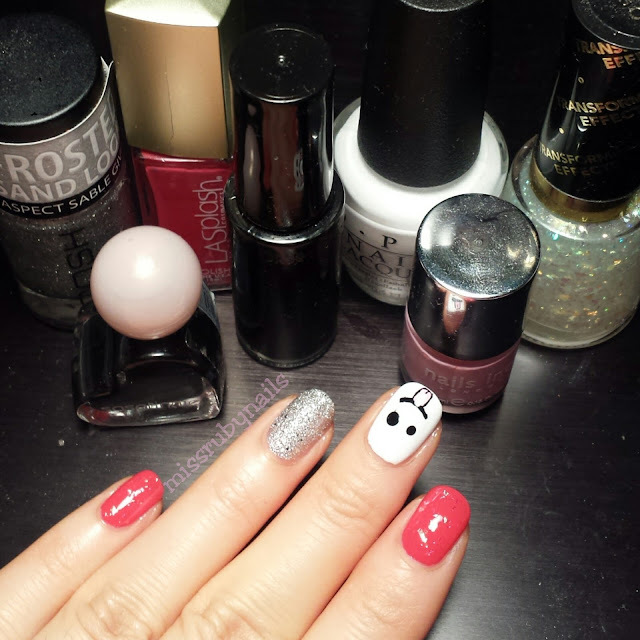 It dries quickly and wears pretty well considering I do not apply a top coat over any textured polishes. 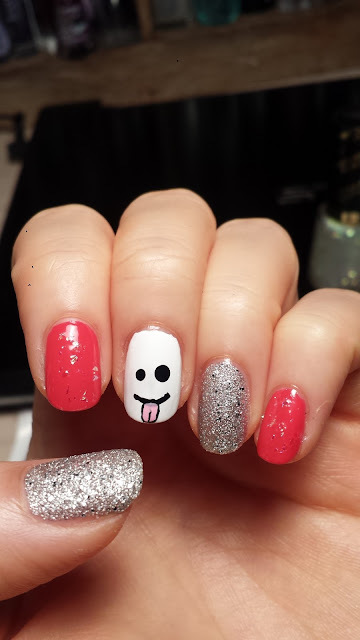 Then I simply drew on the face of the ghost on the white nail. I dotted the eyes in different sizes and used a black nail striper to draw the curve of the mouth. Then I just added some pink and outlined the tongue. On the other red nails, I topped them with a chunky glitter and we are done!